*This is a guest post from Petra Kravos a healthy lifestyle blogger over at Be Healthy Now on what healthy foods every kitchen needs. I’m sure there are a lot of families out there who want to start eating healthier but have no idea where to begin. It’s a lot easier said than done especially because family life can be really busy and hectic. But it is possible, you just need to start buying the right kind of foods which you can use for creating quick and healthy meals from scratch. 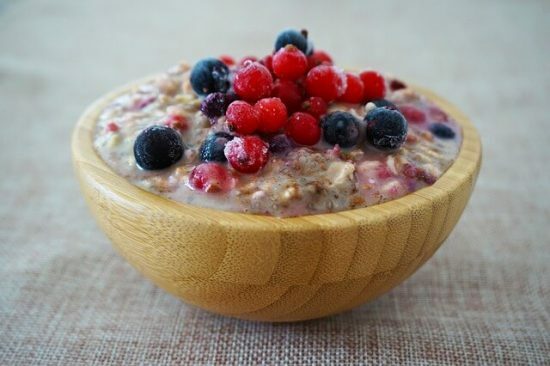 Oats are a nutritious and fantastic way to start the day – a gluten-free whole grain with a lot of vitamins, fibre, and minerals that fills you up. Porridge oats are easy to make and are not only known to lower cholesterol levels but they can even improve your blood sugar control. Kids will also benefit from this breakfast staple, as it’s filling and will give them a ton of energy. So for a healthy start of the day always have porridge oats in stock. I recommend that you add fruits and seeds to them to make them extra flavourful and nutritious. Whole grains are grains in their unprocessed form. That means that they still contain all of the parts of the original kernel including the outer layer (the bran). Whole grains contain a lot of nutrients such as B vitamins, fibre, as well as minerals such as iron, selenium, and magnesium. They are known to help reduce heart disease and constipation symptoms, along with keeping you more satisfied with fewer calories (hello, weight loss!). Instead of the usual white rice or bread, opt for brown rice, whole-wheat bread, pasta, or crackers. Other whole grains include quinoa, barley, buckwheat, millet, and even whole grain cereals. These are an excellent source of carbohydrates to fuel your day without the added sugar or chemicals. Legumes include beans, peas, and lentils. These are seeds that grow in pods. They are a great source of protein and B vitamins. All legumes are also rich in minerals such as iron, calcium, zinc, phosphorus, and magnesium. Rich in antioxidants but also low in saturated fat, legumes are the perfect addition to many meals. Additionally, they are highly satiating and low in calories, making them useful in controlling your caloric intake and weight. Legumes can be used for so many different nutritious dishes. Chickpeas can be on-hand to make homemade hummus, which you can add to your child’s lunchbox together with some carrot or cucumber sticks. Frozen peas can be added to just about anything: pasta, rice, soups and stews. Lentils are best for soups while beans are an excellent addition to salads, burritos, and chilli. Fish is one of the healthiest kinds of meat you can eat and it can be bought fresh or frozen. You can also find canned fish for easy preparation of your dishes – this can be used for meal preps or quick eats. Just keep in mind that eating too much of canned food is not good for you, so eat canned fish only once in a while. 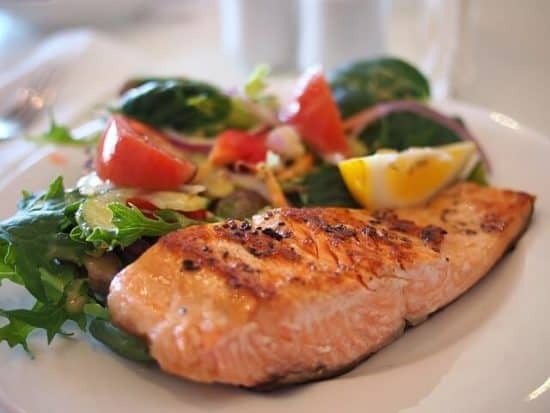 The best is to go for fresh or frozen fish and I would suggest choosing the oily-type of fish (salmon, mackerel or sardines) as this type is rich in omega 3, great for children’s brain! Another reason why you should always have fish in stock is because it’s also rich in calcium and other minerals such as iron, iodine, magnesium, and potassium. And last but not the least, extra virgin olive oil. Not technically a food item, but still I had to include it here as it’s so healthy and really good for you. It’s not only filling from its healthy fat content, but it can also reduce the risk of heart disease and oxidative stress throughout your body. Additionally, you can use it on so many dishes, may it be topping it off salads or drizzling it onto soups for extra flavour; it’s also great to use it with dips. It’s one of those staples that should never be missing in the kitchen. There are many ways on how you can be healthier, with the kitchen being a fantastic start. Just make sure you are all stocked up with the right kind of foods and being healthier will be much easier for you. Start by making some simple food swaps, stock up on some additional items and don’t forget your vegetables! I hope you now have a better idea of what you should start keeping in your cupboards or fridge. So don’t wait, begin creating that grocery list right now and make the necessary change today! If you have any questions or would like to share what healthy foods you keep in the kitchen, do post your comments below. I would love to hear your thoughts and suggestions. Petra Kravos is a healthy lifestyle blogger who runs one of the top UK’s health blogs, Be Healthy Now. Petra is very passionate about health and loves helping people on their healthy living journey. On her health blog you will find a variety of topics, from natural health and healthy eating to fitness, Petra covers it all. You can follow Petra on Twitter , Facebook and Instagram. Thanks for stopping by today, I hope you have enjoyed this informative post from Petra. You can catch up with my other foodie posts here. Great blog post, some really good advice here, I usually have all these in stock. Fantastic blog post with great tips! We love Fish and trying to stay healthy through out the year. Great read – I always try to be healthier – even if it’s just a healthy twist on an unhealthy fave! Really interesting read and learnt lots – think I need to add a couple of things to my shopping list! Thanks! These are all great ingredients to have in your cupboards! Great write up. thank you. I love oats, glad to read you recomment them! Great ! I already try to follow a HEALTHY plan – some days its so difficult especially with the leftover choc!